…Sweden – which was not a big surprise. A bigger surprise was that Austria (and also Germany) did not get a single point at the Grand Finale of the Eurovision Song Contest. Really??! The song was not that bad, and should not we have gotten a couple of points just for hosting the event (think hostess gift)? I watched the live online stream of the ORF, and the Austrian host had plenty of good ideas to make the viewing of this annual singing competition amongst European countries (see more about the competition in my previous posting) more interesting. A surprising amount of songs were in English, which I found rather sad. Even Israel’s entry was for the first time in the competition not in Hebrew. Half of the fun of watching this competition is listening to the lyrics in different languages, such as Armenian, and trying to figure out what they are singing. 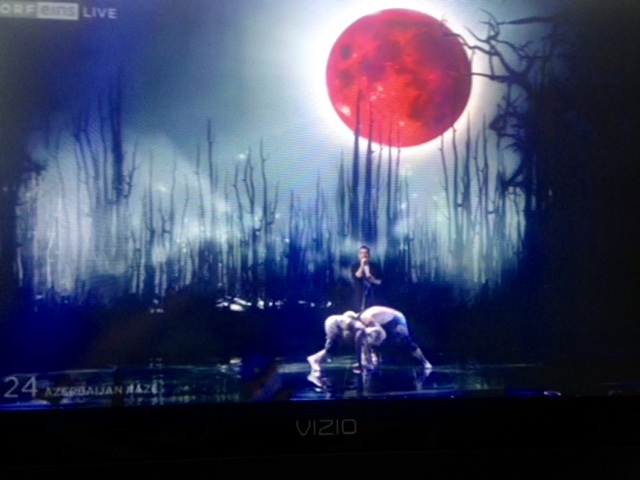 From the few non-English songs, Italy’s entry, “Grande Amore,” was definitely my favorite and placed third overall. At some point, it was pretty clear that Sweden would win, and then the competition was more about whether Austria or maybe even Germany would get a point, and we would be all alone in last place (success – Austria shared the last place with Germany as neither received any points). And even though Austria did not move out of last place, I learned that Austria has a world-famous percussionist (who knew there were any famous percussionists, let alone world-famous ones). 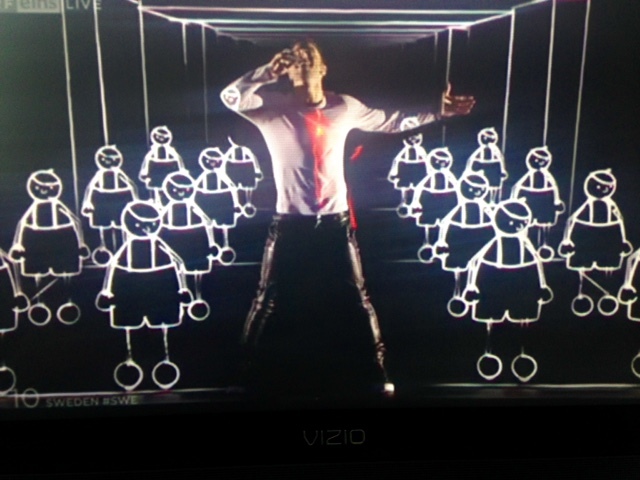 Even though the Eurovision Song Contest is not supposed to be about politics (just like the Olympics), the audience often booed when Russia’s representative was on screen, and the Austrian commentator pointed out the irony of Russia singing a song about peace. All in all, no big surprises but mildly entertaining – but voting for more categories definitely does help. This week is all about the Eurovision Song Contest in the Austrian media, and even though I am several thousand miles away, I am keeping up with the contest. 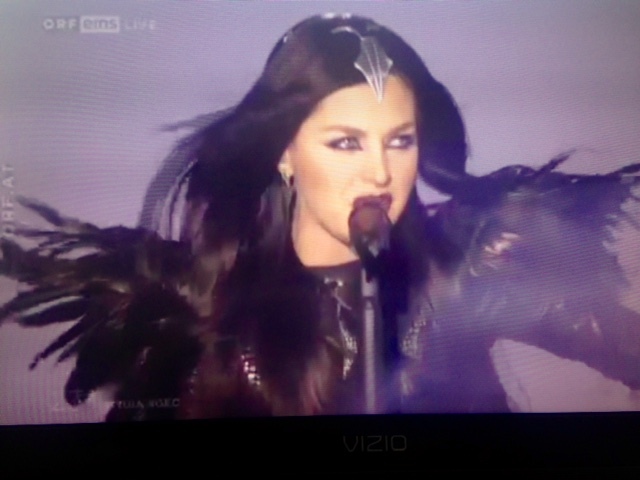 Watching the Eurovision Song Contest is a tradition that I grew up with and that is hard to shake even after years abroad. Yes, many of the songs are not really that great and most sound the same as songwriters seem to believe there is a certain formula to a winning song – either dramatic ballads with a full orchestra or happy, snappy dance songs. This is American Idol but for all of Europe and with only one chance/song to win it all and of course national pride on the line as if it were a world championship in a popular sport. This year, the definition of “Europe” seems to have been expanded as this is the first year that Australia is also participating in the contest (I somehow missed that explanation). 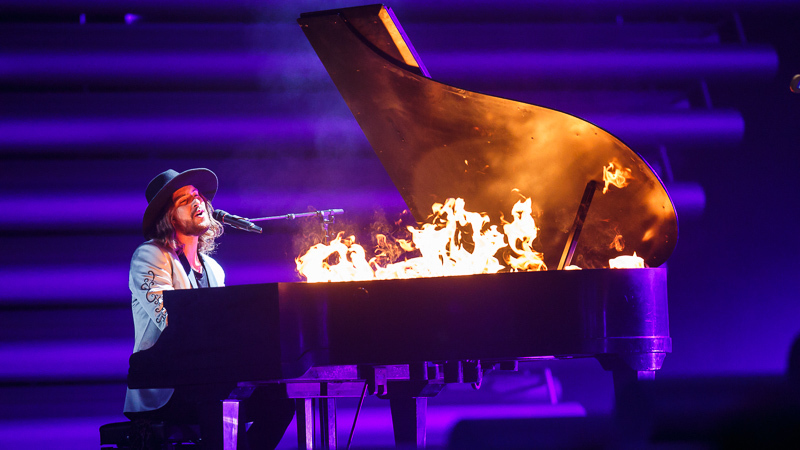 According to the official Eurovision website, 180 million viewers watch each year as up to 43 countries participate (the highest number in 2011). The contest has been in existence continuously for the last 60 years, so it is truly a tradition in May. The commentators are usually tri- or bilingual, and the Eurovision Song Contest was my first experience with numbers and names of countries in French as the commentators announce the points earned per country in English and then French before the local TV announcer translates everything into German in my case. I know just a few key sentences in French, but I am still great with countries and numbers up to 12 just because of this show. 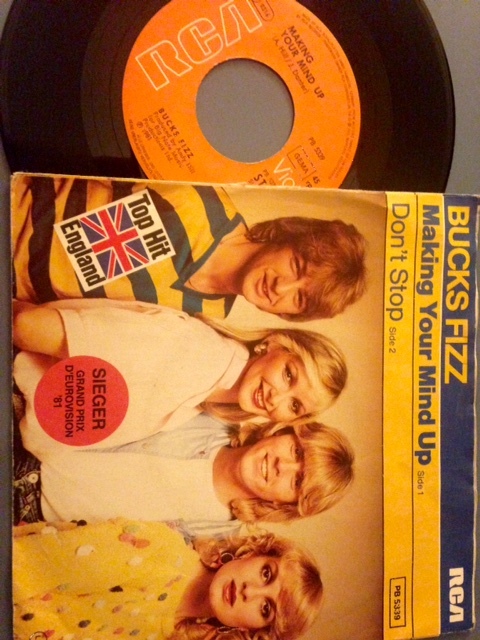 Buks Fizz won the Eurovision Song Contest in 1981 with the song “Making Your Mind Up.” Side note: Who comes up with these band names!? 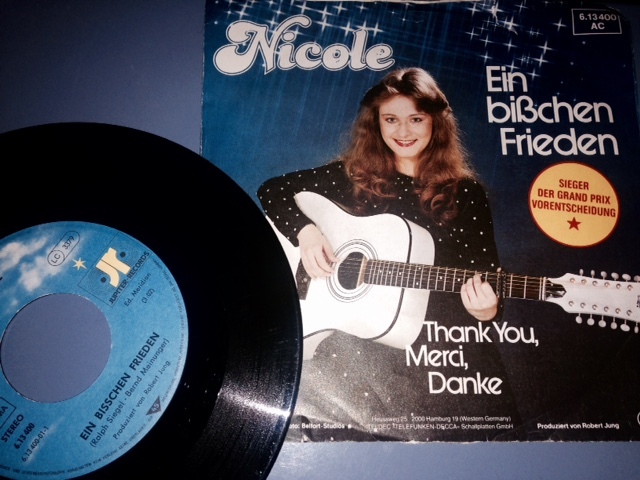 The voting system has changed over the years; viewers can vote for songs but not the song of their own country (which makes the immigrant vote important to some); in addition, a national jury of five music professionals that are also citizens of the country votes for the best songs; the two rankings are combined, and the results are given live during the broadcast: 12 points for the top-ranked song, ten points for the second-highest ranked song, and so on. So far Norway has been at the bottom the most over the years – 11 times; Ireland has won the most contests with seven wins. Austria has won twice – in 1957 and in 2014, which is also the reason why this year’s competition takes place in Vienna, Austria. The contest is also a great opportunity to show videos of the country and culture in between performances to support the tourist industry of the country, so yes, it is a big deal. Currently the semifinals are happening before the big finale on Saturday evening (European time) and lunchtime California time. If you are curious, you can watch the videos of all songs here http://www.eurovision.tv/page/vienna-2015/about/contestants or watch the live stream on Saturday, May 23 online (if you live outside of Europe). Since it is a contest, one can also bet on it (but not in Vegas); online sites seem to favor Sweden as winner before Russia and Italy. I actually find the bad songs a lot more entertaining to watch. Here is a great link to watch some of the worst songs throughout the years: Worst Songs. Many of the worst and thus most entertaining songs do not survive the semifinals, so you may want to tune in now before the finale on Saturday. So far, I do not have a favorite on either side of the spectrum yet, but there are still a lot of hours online ahead. 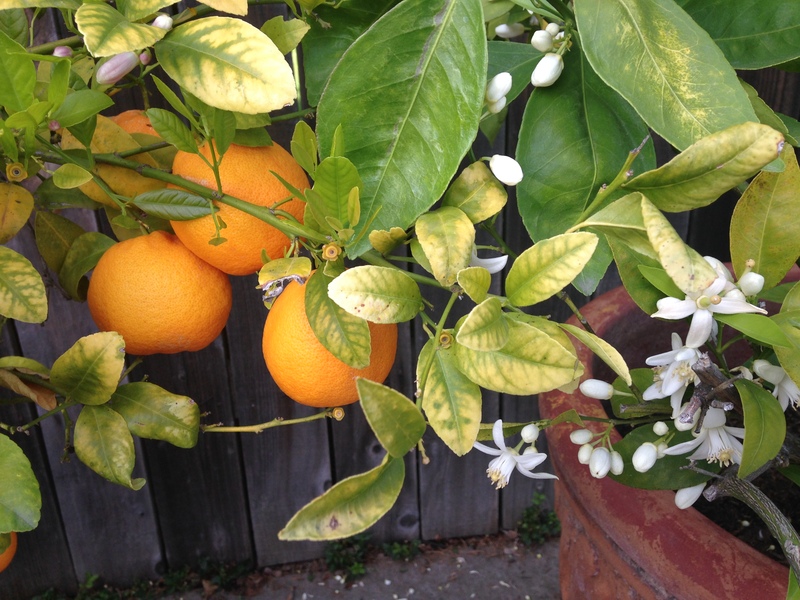 My sour mandarin tree would not stand a chance against the stiff competition in the Eurovision Contest for Trees – even though it is a fighter; it has managed to survive in a small pot, a stingy watering schedule, and a hardier climate zone than recommended. Europeans seem to love their cross-European competitions. The most famous of these types of competitions is the Eurovision Song Contest, where each country submits a song each year and countries vote for other countries’ songs to find the most popular song of the year. It is a beloved competition in Europe; my American husband thinks it is odd and bad but interesting to watch because the whole thing is so hokey. 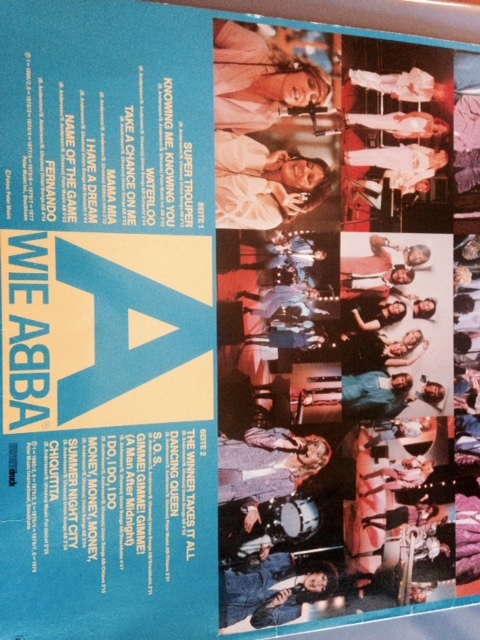 Even though most of the songs do not make it big, a few artists who won the contest did become famous worldwide stars, such as ABBA for Sweden in 1974 and Celine Dion for Switzerland in 1988. Last year’s winner is Conchita Wurst, a full-bearded drag queen from Austria. Since last year’s winner is Austria, Austria will host this year’s contest in May. Fourteen trees from across Europe are in the running for 2015. 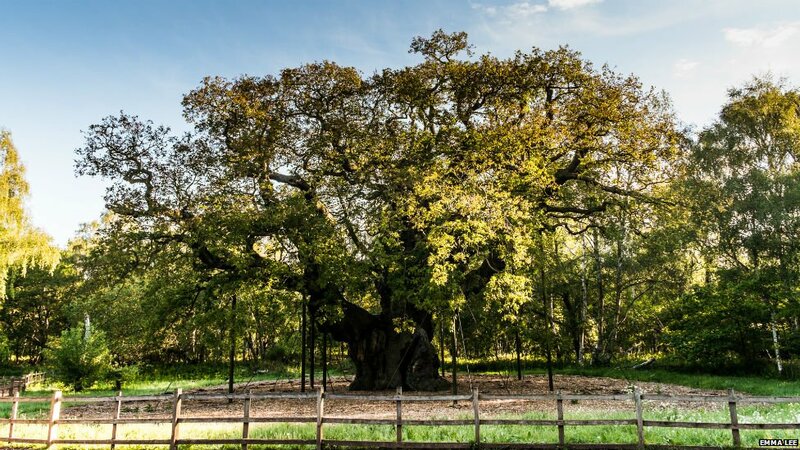 For example, England is sending its tree of the year to the competition, Sherwood Forest’s Major Oak. It is supposedly more than one thousand years old and Robin Hood hid from the Sheriff of Nottingham in it. Slovakia will be represented by a 200-year-old white mulberry tree; the Czech Republic’s entry is a pine tree that looks like a five-headed dragon; France’s competitor is a 1,000-year-old chestnut tree with a 15-meter circumference (which is over 49 feet). The tree has been described as “half plant, half human.” Europeans definitely seem to love their trees. I am wondering if there is a U.S. version of this tree competition and who would win.